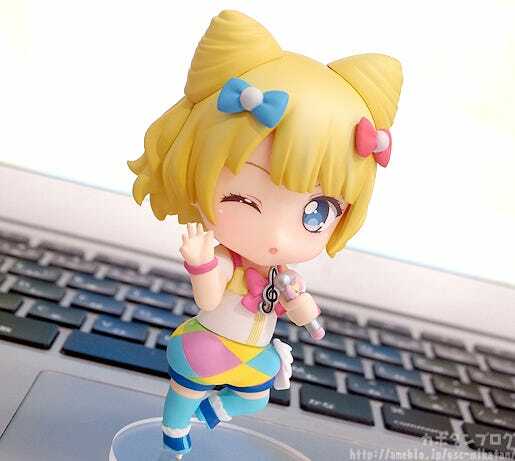 From the popular anime series ‘PriPara’ comes a Nendoroid Co-de of Reona West wearing the Twin Gingham Co-de! 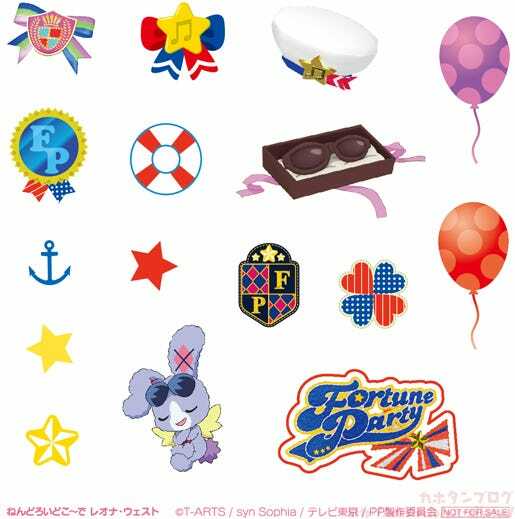 The Twin Gingham Co-de from the ‘Fortune Party’ brand is a popular outfit filled with colors! Be sure to display and switch outfits with the other member of Dressing Pafé as well as the members of SoLaMi♡SMILE! 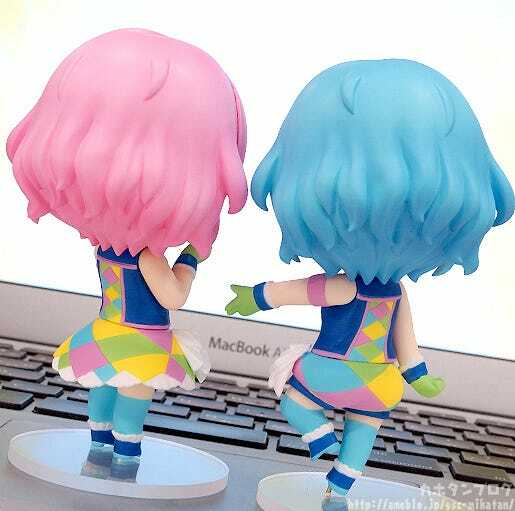 Let’s take a look at them from the back! 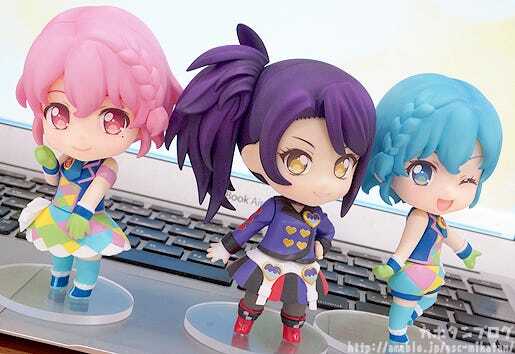 Look at those adorable hair styles! 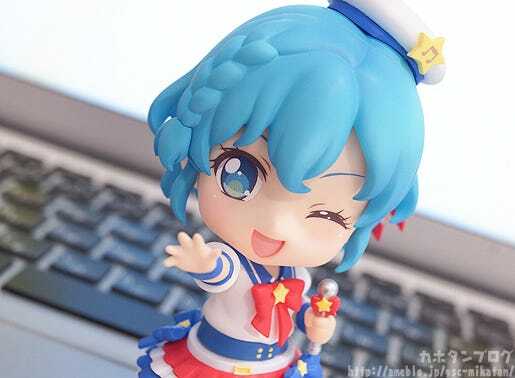 A Quick Nendoroid Co-de Recap! 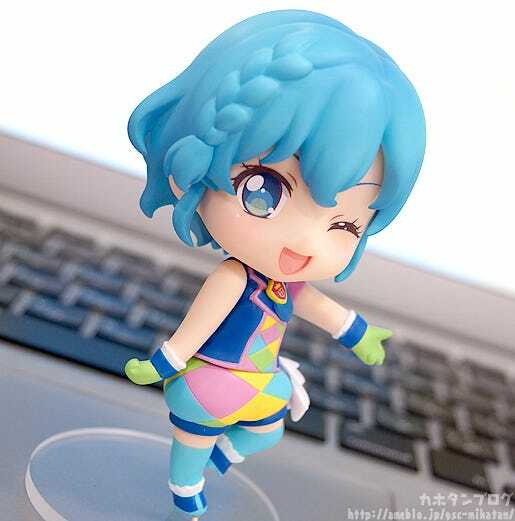 Nendoroid Co-de is a new addition to the Nendoroid series based on the theme of dressing-up characters! 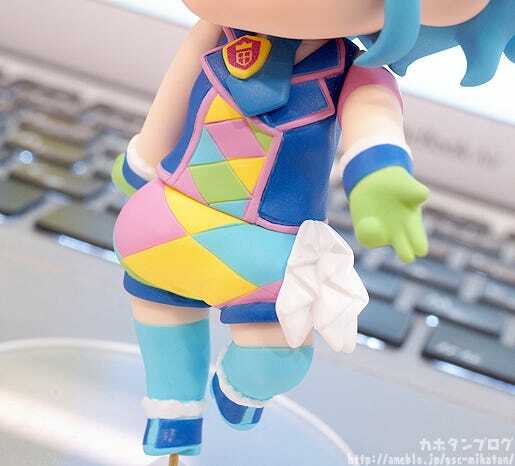 The figures have fixed poses and each come with four parts – the head, upper garment, lower garment and shoes. Each of these parts can be swapped between characters allowing for all sorts of possibilities. The more you collect, the more dress-up options become available to you! In other words…! 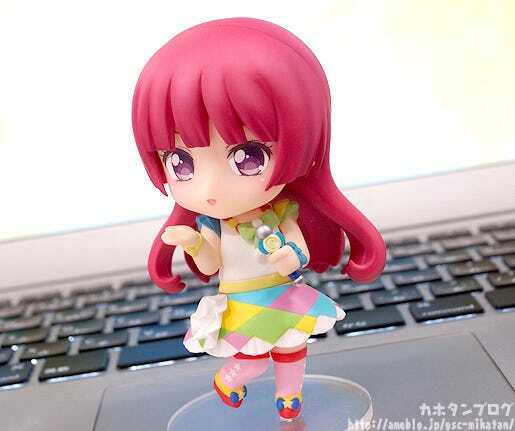 They are simple fixed pose Nendoroids, great for new collectors and with the ability to dress-up in various ways! Great fun for both young and old fans! 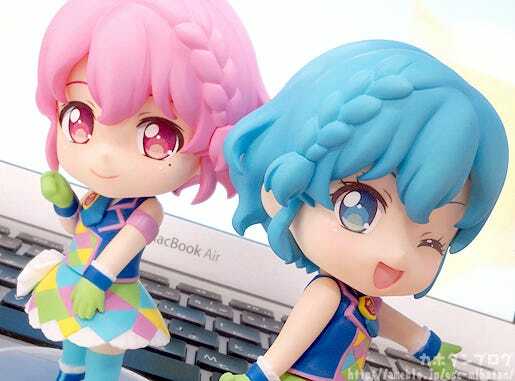 Here you can find out more about the Nendoroid Co-de series as well as test out some of the possible outfit combinations that will come from the first three characters! Perhaps a little later Shion will also be available to switch between? Keep your eyes on the site! A bright and colorful design with pants! She can still be swapped with any other characters, just with a few less options, so do take note! Reona is in a dress instead of pants! 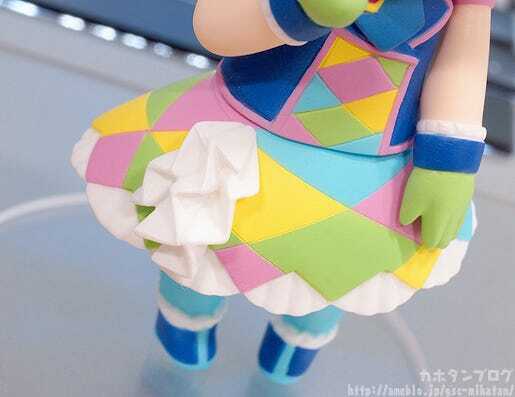 The frills and divisions are actually sculpted on, not just painted! 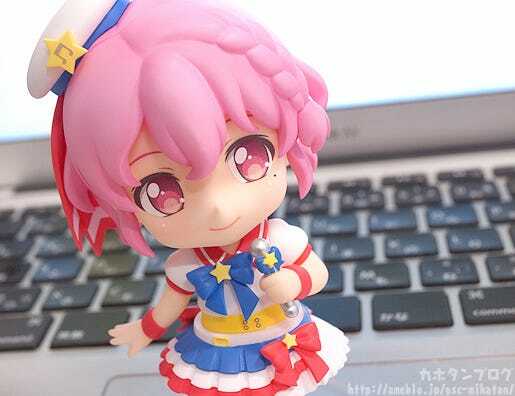 You can switch the entire head over, or just the expression part like any standard Nendoroid… meaning there are all sorts of fun options for Nendoroid collectors! Obviously you can also swap out parts with other characters as well! The pants style suits Mirei rather well! 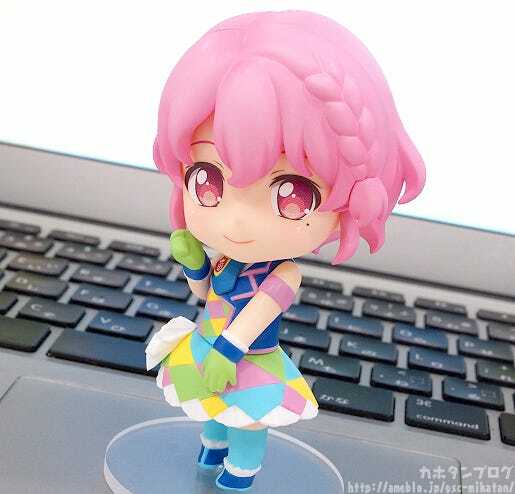 Sophie looks great in a colorful outfit too! But these are just a few of the many options! 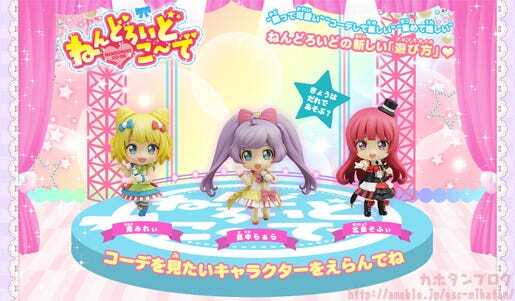 There are now a total of 12 PriPara Nendoroid Co-de figures, allowing for all sorts of combinations! 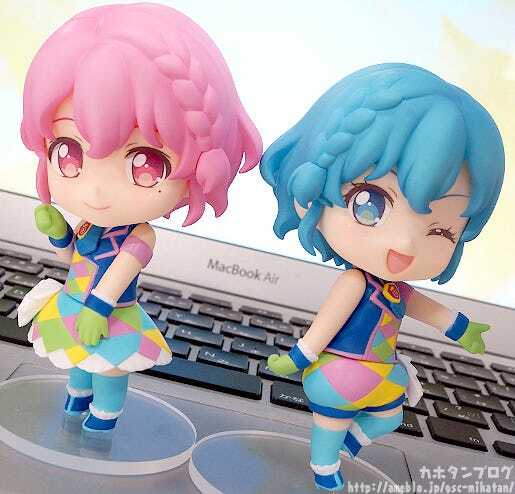 In addition to these, there is also the Nendoroid Co-de: Cinderella Girls Rin/Uzuki/Mio Set – My First Star Co-de set which will be on sale at WonFes! 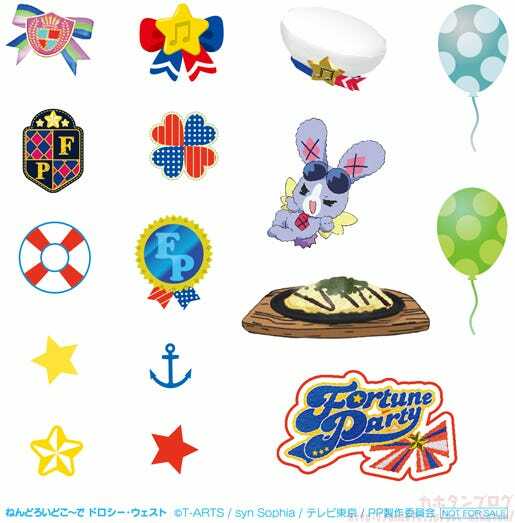 As with all the previous releases, orders from the GOODSMILE ONLINE SHOP will also comes with special decoration stickers! From Left: Yuu Serizawa, Himika Akaneya, Yuki Wakai, Miyu Kubota, Azuki Shibuya and Saki Yamakita.